"If you love someone, set them free. If they come back, they're yours. If they don't, make them." ﻿I am so excited to talk about this book. I had seen it on Allie & Sam’s Instagram stories a few weeks ago when they were reviewing recent books they have read. The title of this one stuck with me when I was looking for a new read. I don’t like doing a lot of background on books before reading them, or reading summaries, because I like to be completely surprised by what happens. Same with movie trailers, I don’t want to know anything that’s going to happen. So by not doing ANY background on this book before opening, I literally could not believe what I was reading, basically the entire time. It was such a good balance of really liking Juliette/Lily, and almost even understanding her thought process, paired with being like, oh my god, you’re not going to actually do that ….. And thinking she’s completely nuts. Lol. I think it was a really interesting point of view being inside of her head and understanding how she comes to conclusion on her next moves. I don’t know about you, but I’ve definitely been a boy crazy, psycho girlfriend in my college days, and some of it was so relatable to me with wanting something so bad and having it slip away, but then seeing a glimpse of hope again and then coming on too strong and completely blowing it all over again. I do think most people give up at this point, but the fact that she doesn’t makes it so fun to read. I’m not going to summarize the whole book, because you read it!! But I’m just going to answer a few questions, and I encourage you to do the same in the comments!! What did you really like about the book? -What really hooked me in was in the beginning of the book when you are just getting to know Juliette (Lily?) and you think she is just getting home to her apartment after work and she’s walking around noticing nothing has changed, she hangs up her coat in the closet beside “his”, hangs out for a while before checking the time realizing she needs to leave before Nate gets home from work. And then you’re just like wait, what. This isn’t your apartment??? Hahaha right there I was invested. I thought that was such an awesome way to kick off how twisted it was about to be. -Another part I liked was reading about how her friendship with Amy was evolving. She obviously came on much weirder outwardly than we saw hahaha. (Or did we see?) But it was interesting seeing Amy slowly realize she was a weirdo and started to keep her distance and start to blow her off. Then towards the end, putting all of the pieces together that Juliette was the one that was inside their home when they were away. What is it with this girl in just needing to be inside other peoples homes when they are gone??? What are a few things that stuck out to you? -The whole Vegas trip was just crazy. Lol. I cannot imagine Nate’s face when seeing his ex girlfriend, now co-worker for the first time, and under those circumstances. And then her trying SO hard not to freak out and keep it cool. It was so interesting seeing how he was sort of excited to see her after so long of being apart. -Who isn’t a little excited to see an ex for the first time in a long time, the part where you forget how insane they are??? -I thought it was interesting how she was made to be crazy but also likeable. 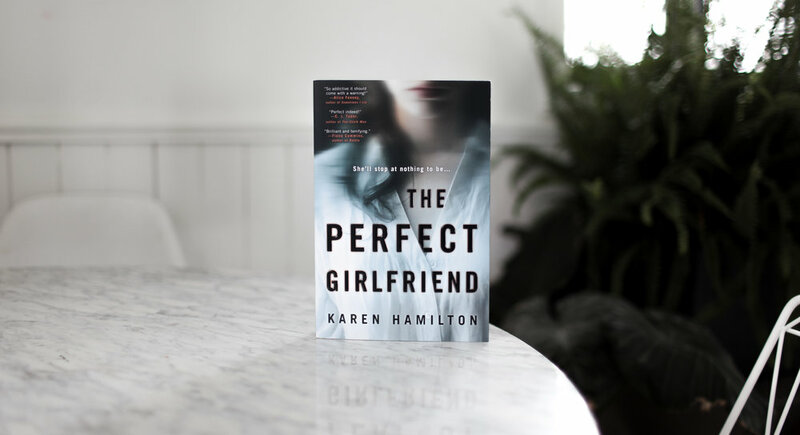 Her story about her brother’s death, combined with her strained relationship with her mother and her complicated relationship with her aunt, made her relatable and human. I find you are sometimes torn with her being “normal” then completely nuts, which I really love. Did you find you related to any of the characters? I hated the ending!! I thought the whole storyline was pretty amazing until the end. I literally didn’t realize it finished. I still had so many questions, does she get arrested? Does the insane stalking go on forever? Does she finally get over it and move across the world? Does he kill her??? WHAT HAPPENS. 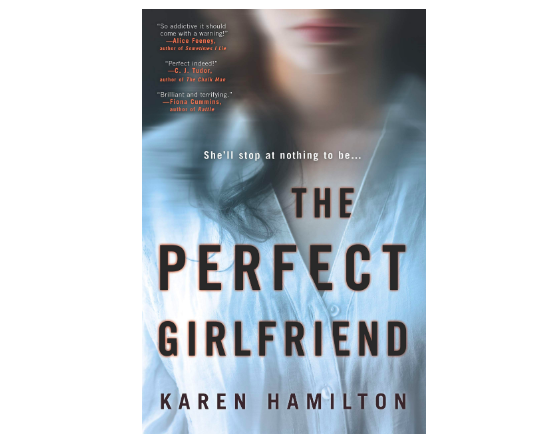 Buy The Perfect Girlfriend on Amazon here! Okay! So now I want to hear from you!!! 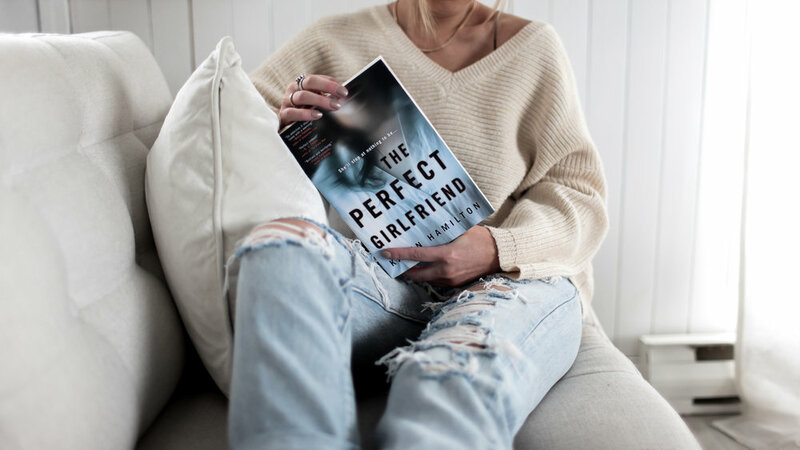 DId you read The Perfect Girlfriend?! Copy & Paste these questions in the comments & I want to know your answers!! What was something you didn’t like? In the comments of this blog post!